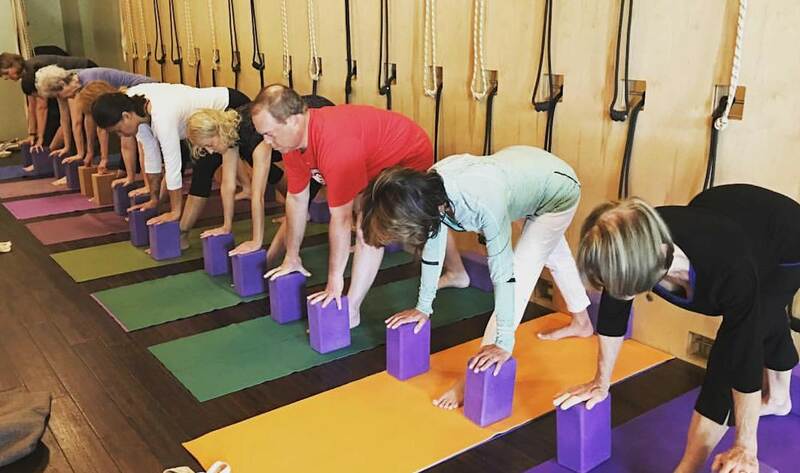 For Beginners, the fundamentals of Iyengar Yoga with focus on basic alignment . 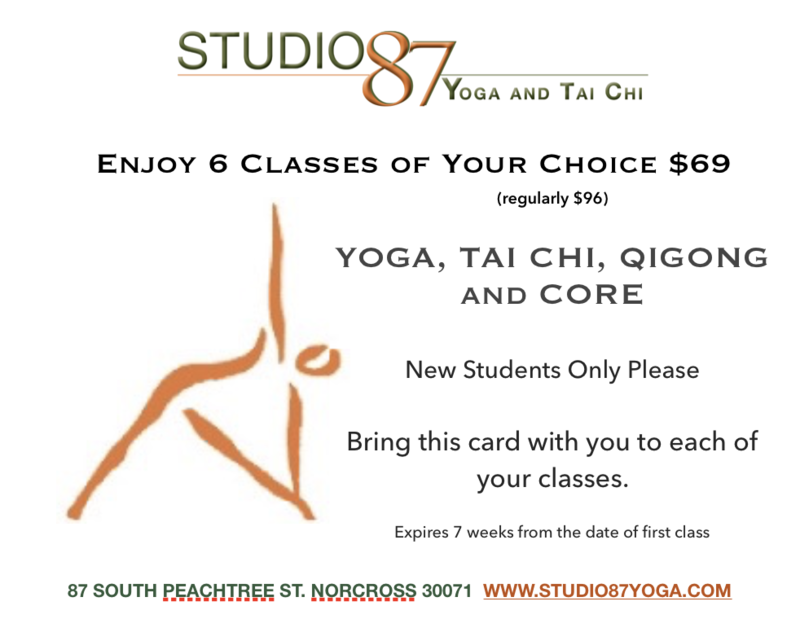 A class with 60 minutes of active poses and 30 minutes of restorative. 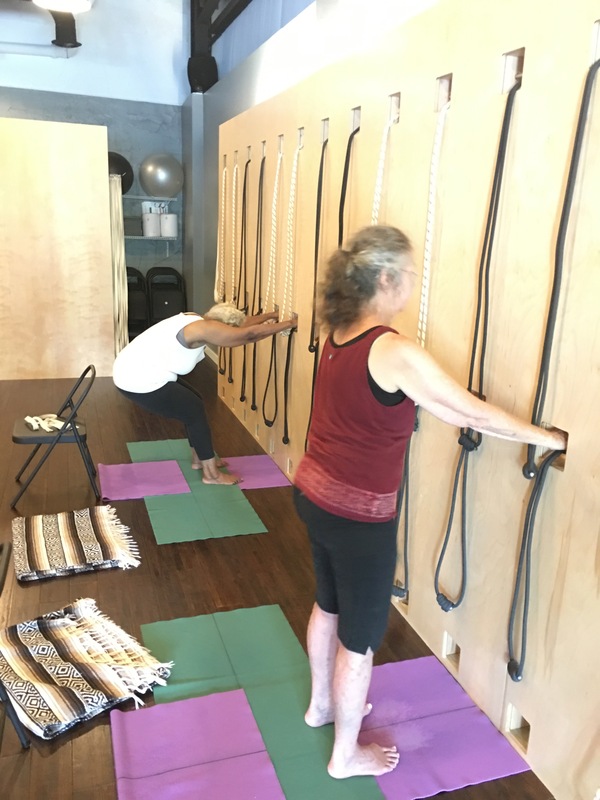 Beginners are welcome, a minimum of 3 months Iyengar Yoga experience required. A deepening study where backbends and inversions are introduced. A minimum of 12 months Iyengar Yoga experience required. 12 months of regular class attendance and a home practice required. Technique means that in practice one learns ever finer adjustments in the alignment of how one performs one's asana (poses) and pranayama (breath control). Sequence refers to the sequences in which asana and pranayama are practiced. For example, by varying which postures are practiced after which, the mental and emotional effects of the practice can be intensified in a manner not otherwise possible in order to bring about changes to the whole being including ones spiritual evolution. Timing refers to the length of time spent in postures or pranayama. Postures cannot be done swiftly or without awareness. It takes time to move into a posture and become stable. When this has been achieved then one remains stably for some time to intensify the depth of the posture and so extract its benefit. Otherwise the potential effects and benefits remain small compared to what is possible. So one can begin to see how Iyengar yoga cultivates all eight disciplines of yoga and is far from merely "gymnastics and deep breathing." With practice and understanding, one realizes that Asana (yoga posture) is as different from stretching or gymnastics just as Pranayama (Breath control) is different from merely deep breathing and meditation is different from self-induced trance. Opened to all. No experience necessary. 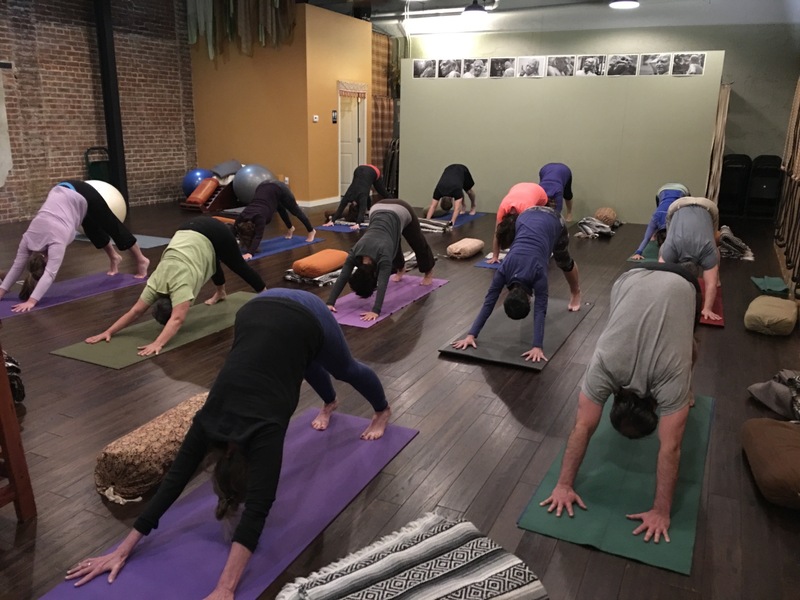 This accessible and mindful practice cultivates an awareness of core muscles and how they function in our daily activities as well as our Yoga and Ball Rolling classes. Core muscles are more than just your ‘six-pack’… they include all of the muscles of the pelvis, mid, lower, upper back, shoulders and hips. These muscles work together to support your spine and skull and can greatly improve your posture, balance and overall wellness when strengthened. ROLLING & RESTORING is about self-care, restoring and relaxing. It is for everyone and anyone that wants to be instrumental in their own health and well being. In our Roll & Restore classe we use a variety and range of Therapy Balls that will provide your soft tissues with simple and effective self Myofascial release. Improving mobility, preventing injuries and easing muscular tightness and pain. You will leave this class feeling rested and restored. A much needed class/practice for athletes of all disciplines as well as ‘desk riders’, tight and tired bi-peds or anyone who wishes to develop a better posture and feel healthier! All levels welcome and no yoga experience necessary. If you have Yoga Tune Up® Therapy Balls, bring them with you if not you may use ours or purchase your own. I'm ready to sign up my kids! Ages 4-12, all Bendi Buddies welcome! 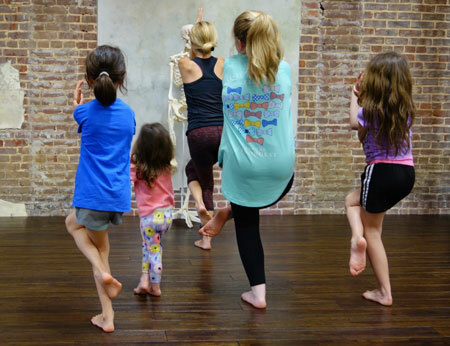 GROUNDED KIDS YOGA is a playful mixture of yoga, team building games and explorative activities where kids laugh and learn how to bend and stretch their bodies. Scheduled between the teacher, student and the studio owner prior to setting appointments. Cost ranges from $60-$100. Because of the many poses done during class, have no more than a snack one hour before class. Wear comfortable, stretchy clothes to allow the instructor to observe your body alignment during class. Yoga is done in bare feet... no socks or hose of any kind. Some students are allergic to scents, so please, no perfume or cologne. Yoga is a meditative practice, be mindful of others when entering and leaving the studio... shhh, quietly. Please do not come to class if you have any contagious conditions. You will be able to make up your classes. Drinking water during class is discouraged unless you have a medical condition that requires hydration during class. Whenever possible, arrive a few minutes early and prepare yourself for class. If you find yourself late, not to worry, just enter quietly and join us. PLEASE DO NOT ENTER THE STUDIO ON YOUR CELL PHONE/WATCH. WE ARE A DEVICE-FREE ZONE, SO UNPLUG, TURN THEM OFF, AND GIVE YOUR MIND AND EARS A REST. Practice once or twice a week, and you will feel better. Practice three or four times a week, and your body and attitudes begin to change. Practice five or six times a week, and you will transform your life!